Equipes Notre Dame (Teams of Our Lady) is an international Catholic lay movement for Christian married couples, with a Decree of Recognition from the Pontifical Council for the Laity, now present in over 80 countries and with a membership approaching 150,000 worldwide, including couples, widows/widowers, priests and religious. Teams started in France in 1938 and the first English team was started here in Cheltenham more than 50 years ago by Harry and Clotilde Meigh. There are currently three teams in Cheltenham. Teams of Our Lady is designed to enrich marriage spirituality and make good marriages better. Teams provide a proven method of increasing and improving prayer life, which will help couples grow closer to God and each other. At the same time, their family will reap the benefits as well. A team is comprised of five to seven couples whose marriage is recognized in the eyes of the Catholic Church. The team meets one time per month, rotating from one home to another. If a couple’s home cannot accommodate the entire team, the group can meet in a church meeting room or outside, if possible. Some teams might have a spiritual counselor or Priest Spiritual Counselor as part of their team. The Priest Spiritual Counselor comes to the meeting to provide his theological knowledge and expertise. The team shares a simple meal, prayer, sharing on the endeavors, and a study topic. The endeavors are the heart of the spirit of Teams. The team becomes a close community that can inspire one another through their living examples of faith, and share with one another their struggles and successes on their way to holiness. “The Teams of our Lady, a gift of the Holy Spirit, is offered to couples throughout the world in order to help them live out their married spirituality.” (The Guide of the Teams of Our Lady). Couples from all stages of life (newly married, child rearing and empty nesters) can be part of Teams. It is not parish based, but it is advisable for couples to live in the same geographic vicinity. Since this is a lay association, lay couples hold all positions of responsibility. The Blessed Mother is the Patroness of the Movement. We strive to follow and imitate Mary’s “yes” to God through prayer, scripture and the sacraments. Mary is the perfect disciple and follower of Christ. She takes everything and everyone to her Son. The Magnificat prayer is Mary’s proclamation of God’s greatness. Teams couples say the Magnificat prayer daily in communion with fellow Team members worldwide. 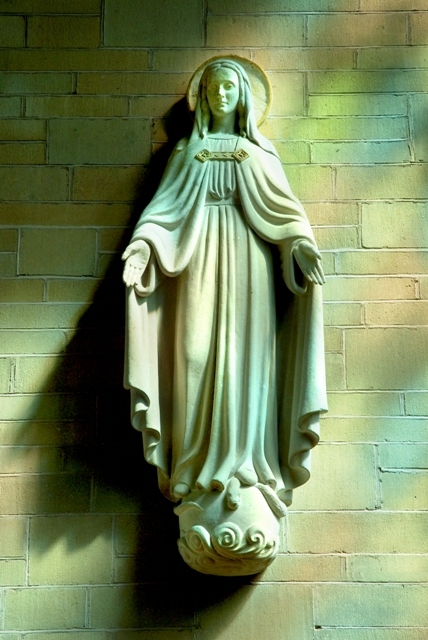 It is not a Marian Movement, but Mary is our patroness. It is not a Bible study, but we read Scripture and learn about God. It is not a therapy group, but we share and support each other on our life journey toward Christ. It is not for counseling. Everything is held in strict confidence and all sharing is voluntary. We offer advice only if it is requested (usually done in private). It is not for troubled marriages. The Church offers other programs to help with serious marital issues. One such recommended program is Retrouvaille. It is not a supper club.